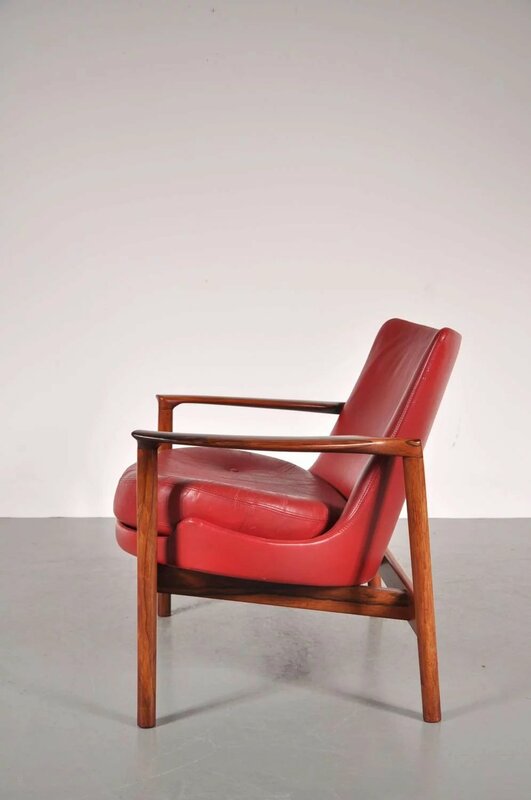 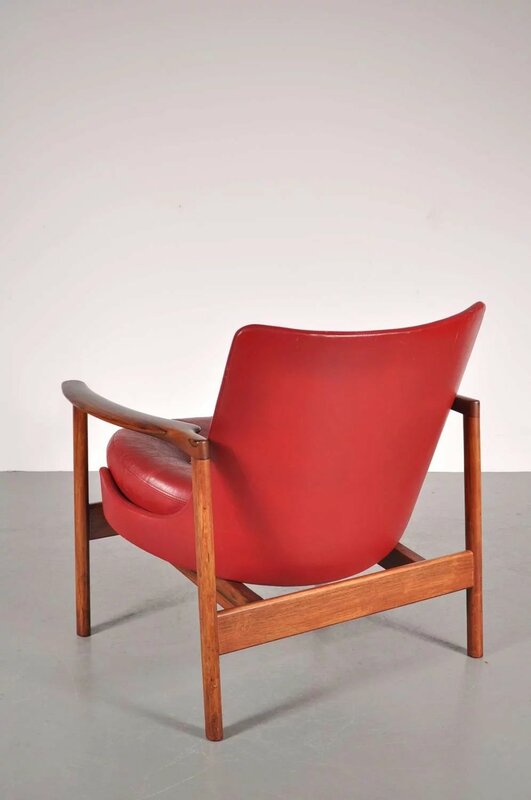 Beautiful set of five easy chairs by Ib Kofod Larsen, manufactured by Carlo Gahrn in Denmark around 1950. 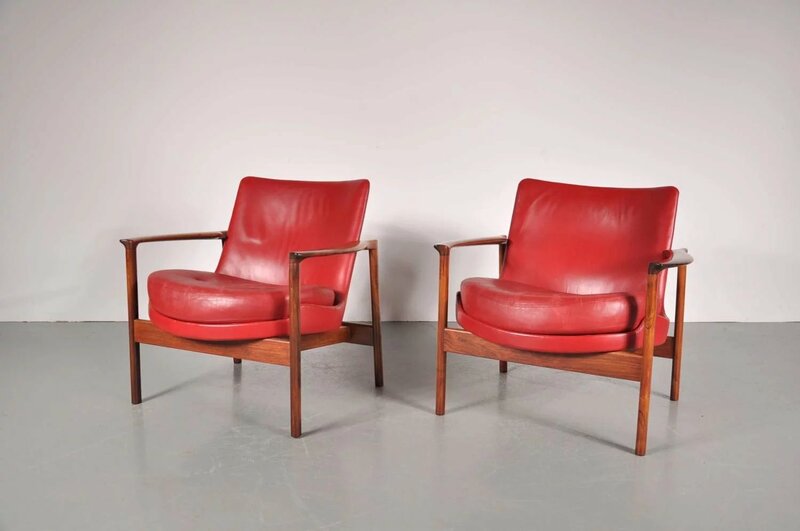 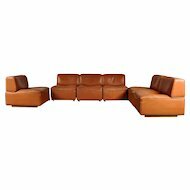 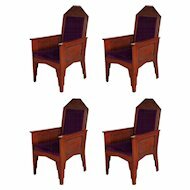 These stunning pieces are made of the highest quality rosewood and have a red leather upholstery, all in great condition. 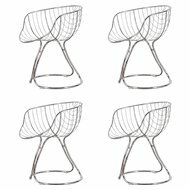 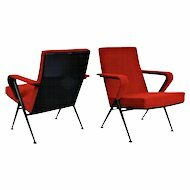 They are very recognizable pieces of Scandinavian design and would look amazing in any interior. 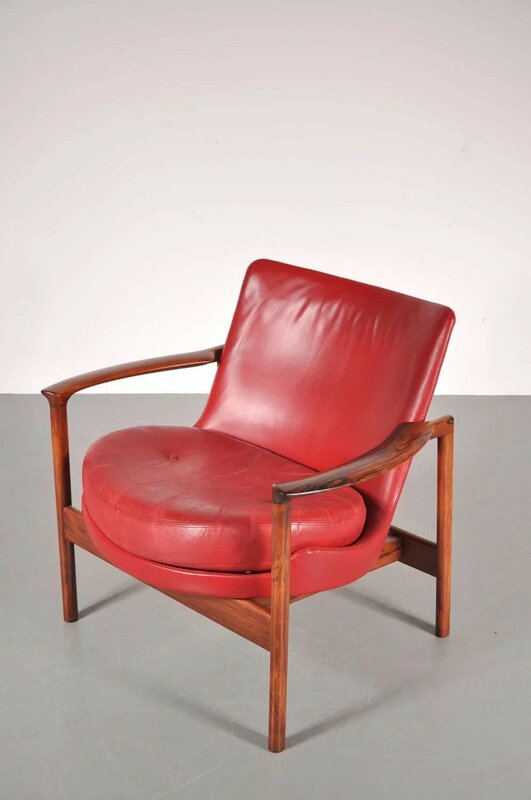 In good condition with minor wear consistent with age and use, preserving a beautiful patina. 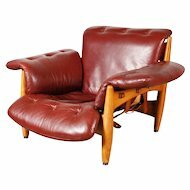 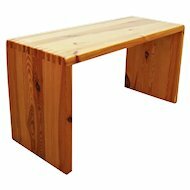 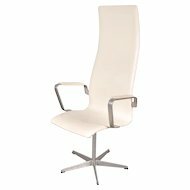 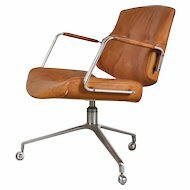 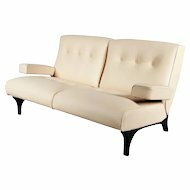 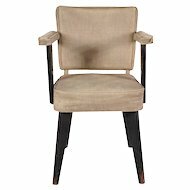 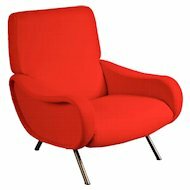 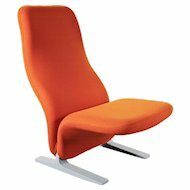 Furniture desginer Ib Kofod-Larsen's furniture from the 1950's and 60's are today more desirable than ever before. 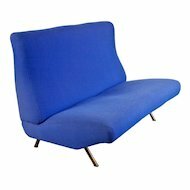 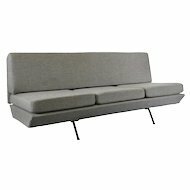 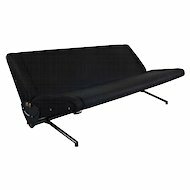 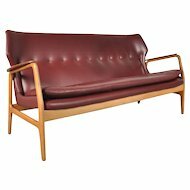 Danish Kofod-Larsen designed storage and seating for the Swedish market in the 60's but did not really reach any commercial success. 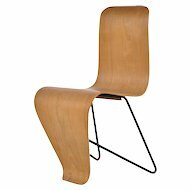 Maybe his organic design was to extreme for the Swedish taste at the time. 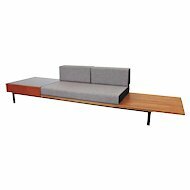 In Denmark, on the contrary, his sideboards produced by Faarup won immediate recognition. 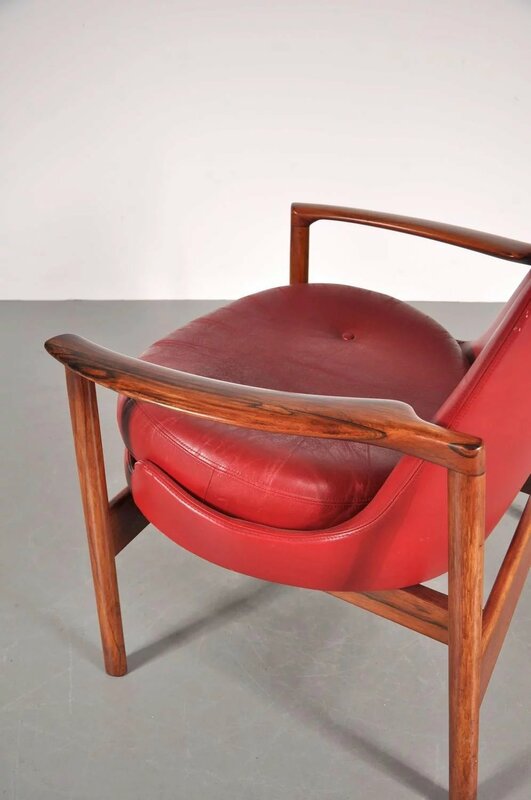 Today his creations are sold at higher and higher prices, as his clean designs, often in beautiful rosewood or palisander, have become highly appreciated by a global community of design enthusiasts.